The Children Village dormitory complex, which provides accommodation for 540 children, received the international Riba award for excellence this week. It is based on a farm surrounded by dense rainforest in Tocantins state. Dubai-based GEMS Heritage Indian School, in partnership with ESM (East Sports Management), has opened GEMS Heritage Cricket Academy, a world-class facility with state-of-the-art technology, an enhanced curriculum and ICC-qualified coaches. HYDERABAD: Promotion of sports at the school-level is the need of the hour. Scouting for talent and then grooming them at a young age is the only mantra which can transform the sporting landscape of the nation. 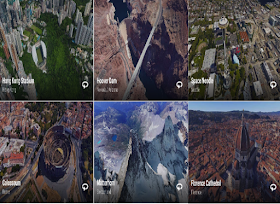 A few days go Google introduced Google Earth VR , a new service that allows users to virtually explore the world from different perspectives and right from the comforts of their own place. "..the company has two types of groups – one is from schools directly approaching them with specific requirement and the second one is for kids from different schools. The company publishes the summer camp dates for the second group to sign in. For both groups the requirement and main learning are totally different. While the first group will focus on the schools’ requirement about leadership skills, the second group for public gets exposure to outdoor. People come in search of them after getting to know about them online." Kalypso Adventure is an experiential travel company with a passionate team who identifies and offers unique experiences. It also conducts ‘Experiential Learning Modules’ for Corporate and Student groups. The company was started by two ex- Navy Commanders, Cdr Thomas Zacharias and Cdr Sam T Samuel. Our courses are designed to help young chefs explore cuisines while building on basic skills. They eat the food they prepare at the end of each class. Our Little chefs receive recipe cards for everything they make, to try it at their own leisure for themselves and for their family. The young chefs will work with their peers while following a recipe and learning kitchen safety. Be familiar with your own kitchen: It can be a simple sandwich or a vegetable and cheese quesadilla or a banana smoothie. I want children to take responsibility for what they want to eat. Water is essentially everywhere in our world, and the average human is composed of between 55 and 60% water. So what role does water play in our bodies, and how much do we actually need to drink to stay healthy? Mia Nacamulli details the health benefits of hydration. With 12 campsites across Maharashtra, Letscampout offers unforgettable experiences. Letscampout provides adventure camping options on the stretch of Lonavla at 7 locations and also 3 camp-sites down south in Bangalore. Depression is the leading cause of disability in the world; in the United States, close to ten percent of adults struggle with the disease. But because it’s a mental illness, it can be a lot harder to understand than, say, high cholesterol. Cockroach is one of the world's oldest inhabitant, and the history of life has passed before its small sharp simple eyes as well as compound eyes. Cockroach was there to greet the arrival of dinosaurs 170 million years ago; he was there to bid farewell to dinosaurs 100 million years after. Rising numbers of students are doing their exams on computers, rather than having to complete handwritten papers, in a move that could spell the death of the pen-and-paper test. Rabindranath World School (RWS), a CBSE school based in Gurgaon, organized a workshop on October 8 in collaboration with Music Institute of Chromatics (MIC), to introduce an innovative method of teaching music. Hailakandi: Graham Middle School here has emerged as the first school in Hailakandi district to achieve 100 per cent success in measles-rubella (MR) vaccination. The school has vaccinated all the 150 students on its roll, drawing appreciation from the district administration. At Jed-i Explore, classes are interactive, students are encouraged to ask a lot of questions, work in teams and of course make noise. Each session brings new concepts, new ideas and new questions. Navnirmiti foundation was founded in 1995 and for the past 20 years, the team is actively working in providing quality in mathematics and science education. Ms. Jyoti went on to say that “What do we mean by quality is that students should be learning by understanding and it is possible to do and learn”. The children thrive better in a likable environment. Ms. Jyoti said that “Mastering Mathematics and Science is possible for any child”. It caters to children aged 3 to 12 years and maintain a healthy student to teacher ratio of 7:1. Because they have a 7:1 student-teacher ratio, it is very easy for teachers to give personalised attention to each child and mould their approach to suit the child’s needs and requirements. Learning is a complex cognitive phenomena that has been and is still the central theme of a wide variety of scientific studies. The overarching question ‘how we learn what we learn’ intrigued scientists across different disciplines and generated tons of literature on the topic. A professionally qualified artist, he has worked in the creative department of several National Advertisement Agencies for more than 15 years. `Started Aavishkaar India with the camping division for creating unique experiences for children. He has impacted more than 10 lakh students across ages and is continuing to do so. Volunteering Travel Solutions is a leading, international, volunteer match organization. We provide internship in the areas of Healthcare (general medicine, dental, and physiotherapy) and Journalism. Volunteers can choose to intern from a time period of 2 weeks to more than a month. Narcissism isn’t just a personality type that shows up in advice columns; it’s actually a set of traits classified and studied by psychologists. But what causes it? And can narcissists improve on their negative traits? W. Keith Campbell describes the psychology behind the elevated and sometimes detrimental self-involvement of narcissists. At PaperArtz, we work with childrens’ art and with no rules, no competition, just the way you like to draw it. We get them in thousands, and each is a masterpiece in its own right. The colors are vibrant, the shapes, the mood, the joy, the sadness, the anger, the confusion, all can be witnessed in these little sheets of color pallets. Blue trees to yellow rivers, pink mountains to red sunflowers…the list is endless. We do have the perfectly designed pieces too, that is art according to us... And hats off to parents and teachers who have let that purity stay putt in the child. When under anesthesia, you can’t move, form memories, or — hopefully — feel pain. And while it might just seem like you are asleep for that time, you actually aren’t. What’s going on? Steven Zheng explains what we know about the science behind anesthesia. For several centuries, people though diseases were caused by wandering clouds of poisonous vapor. We now know that this theory is pretty ridiculous, and that diseases are caused by specific bacteria. But how did we get to this new idea of germ theory? Tien Nguyen describes the work of several scientists who discredited a widely accepted theory in a way that was beneficial to human health. Early elementary students with symptoms of depression are much more likely to be at risk for academic deficits, according to new research. From the three-legged race to the 100m sprint, generations of children —not to mention their parents — have used school sports day to show off their athletic prowess. Now such traditions appear to be falling out of favour as head teachers seek to focus more on the taking part and less on the winning. Piyush Khandelwal is the co-founder of Rocksport and has a master’s degree in tourism. His love for adventure and nature helps people develop leadership skills and get rich experience going out on camps. Little Passports is a novel concept in the kids travel space for India. They organise educative travel tours for children aged between 3 and 15. The concept resonates with today’s parents who value ‘learning by doing. These trips are in tandem with popular school holidays. The tours designed for kids have been formulated with the founder’s travel knowledge and experiences of travelling with kids. Trek The Himalayas, a well-known company that organizes treks and mountaineering, located in Rishikesh, was founded by Mr. Rakesh Pant, an active and experienced mountaineer about 5 years ago. It can be hard sometimes, when speaking, to remember all of the grammatical rules that guide us when we’re writing. When is it right to say “the dog and me” and when should it be “the dog and I”? Does it even matter? Andreea S. Calude dives into the age-old argument between linguistic prescriptivists and descriptivists — who have two very different opinions on the matter. Andre spent almost 25 years as a volunteer with the Duke of Edinburgh’s Award (now the International Award for Young People) and was the chairman for the West Zone (India from 1995 to 2001) as well as a member of an international training team with particular reference to expeditions and adventure. Outbound Adventure is an outdoor education, adventure and outdoor activity and training company run by André Morris. ileap (Integrated Learning Enrichment Achievement Program) is a comprehensive after-school curriculum that aims at child’s all-round development. The curriculum is self-developed .We are at 18 locations and currently cater to 1500 students. ileap focuses on helping students assess their strengths, capabilities and areas of improvement. With increasing demands from public, Pugmarks founded a niche market for themselves catering to educational and environmental exposure during vacations for students. TED Ed Lessons is one of the best resources for educational video content to use with your students in class. 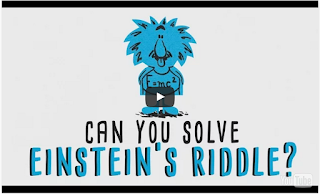 It features less than 10 minutes lessons created by teachers and animated by professional animators .The goal is to amplify teachers voice and make learning more enjoyable and accessible to students from all around the world. Did you know that gold is extraterrestrial? Instead of arising from our planet’s rocky crust, it was actually cooked up in space and is present on Earth because of cataclysmic stellar explosions called supernovae. CERN Scientist David Lunney outlines the incredible journey of gold from space to Earth.